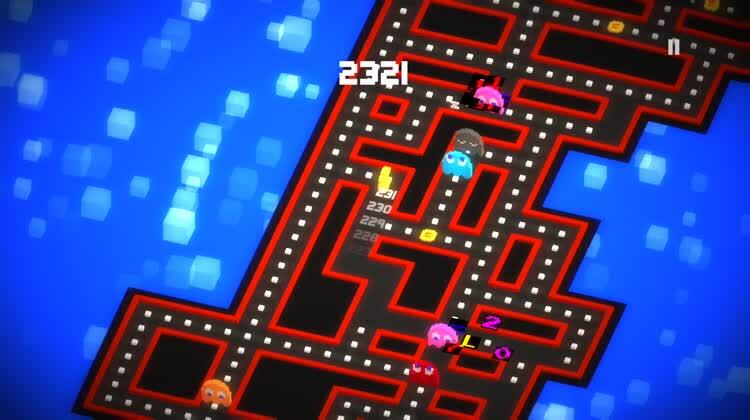 In a never-ending maze, Pac-Man and the ghosts are at it again in the arcade game Pac-Man 256. 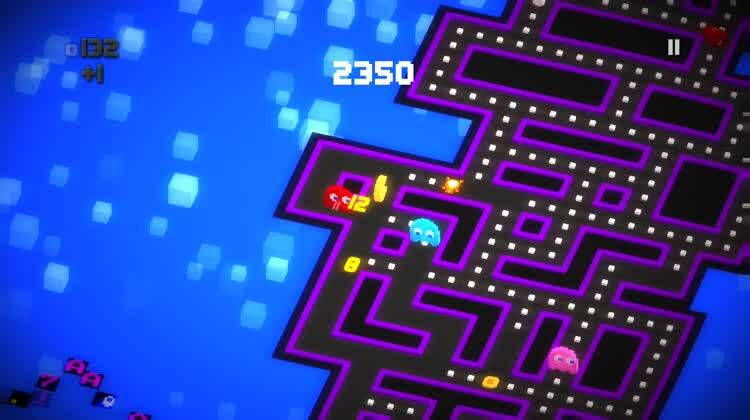 Move Pac-Man through the maze avoiding ghosts, eating fruit, and staying ahead of the Glitch. 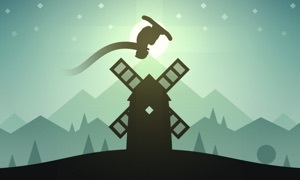 There are over 15 power-ups like lasers and tornadoes to help you score higher and stay safer. There is also Game Center support with two leaderboards. Play Pac-Man Endlessly. The classic game of Pac-Man transformed into an endless arcade challenge. The maze stretches upwards endlessly, and you need to outrun the glitch that is eating the maze below you. Use Power-Ups. 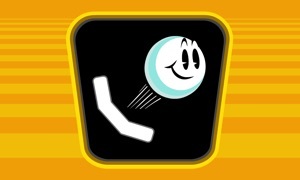 In addition to power pellets, Pac-Man 256 gives you power-ups. 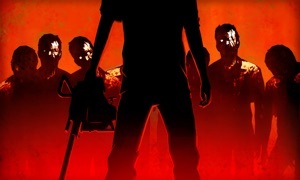 You can use laser, giant ability, ghost freeze, stealth, and more to turn the tables on the ghosts. Munch Tons Of Ghosts. The mazes aren't fixed, and neither are the number of ghosts. There are many more to avoid, and they keep coming. That also means there are more ghosts to munch on when you activate a power pellet. Get A 256 Dot Combo. 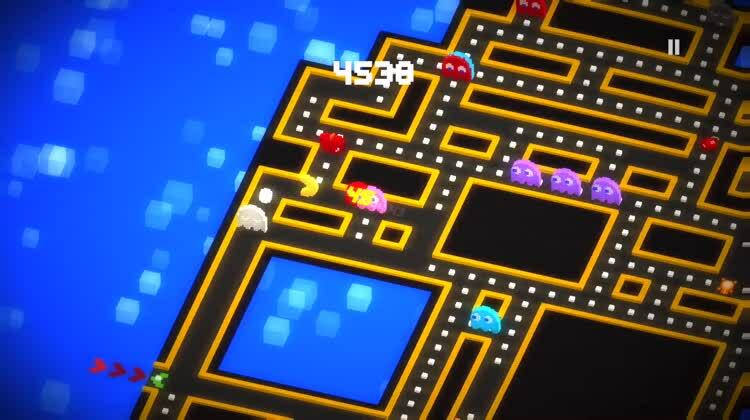 Pac-Man 256 gets its name from the ability to eat 256 dots consecutively without backtracking, or reaching a gap. If you do, the board is cleared temporarily, and you get a score boost. 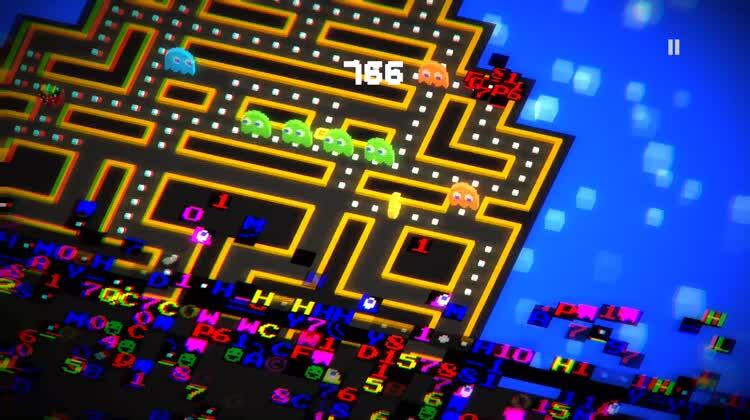 Pac-Man 256 takes the classic arcade adventure to a new level. With the cool power-ups, you can outsmart the nasty ghosts and stay ahead of the super-villain, creepily named the Glitch. You will experience the same robotic sound effects and funky music that you remember when you were pumping quarters into the game at the arcade. For those who enjoyed the classic game of Pac-Man, this revamped version takes you on a fun adventure. 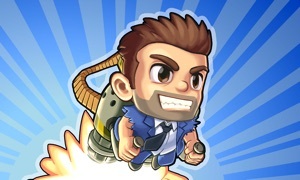 The incoming villain, the Glitch, adds a little extra to the fast-paced, where-to move, energetic gameplay.